The Lake Minnetonka real estate market has begun the year with existing home sales at the highest annual rate in six months. In a recently-released report by the National Association of Realtors (NAR) total existing home sales (by transactions) increased by .4% adjusted seasonally for an annual rate of 5.47 million in January. December's transactions were 5.45 million. Total existing-home sales are defined as the sales of single-family residences, condominiums, townhomes and co-ops. The recent report reinforced the latest sales numbers that show sales 11% higher than this time a year ago. The totals represents the largest year-over-year increase since July 2013 when year-over-year sales reached 16.3%. The slight increase in transactions is partly due to the spike in sales attributed to loan closing delays in November 2015. The delays were the result of implementation of the new Consumer Financial Protection Bureau's TILA-RESPA Integrated Disclosures regulations in October. The new disclosures are designed for lenders to be more transparent in their dealings with borrowers. In addition, the regulations were intended to simplify and streamline some of the consumer disclosure documents to make it easier for borrowers to understand various lending programs. Among other documents, the new guidelines include cost estimates that must approved by the borrower in writing before the application process can continue. This disclosure must be given to the borrower within three business days of the loan closing. If the borrower wants to make any changes during the three-day window, the three days start over. As expected, coupled with the additional paperwork, software implementation and training challenges, the new disclosure rules caused closing delays in the Lake Minnetonka real estate market. Despite the strong start to 2016 in the Lake Minnetonka real estate market, economists warn the biggest obstacle for continued growth is a lack of inventory. Simply stated, supply and demand need to mirror each other in a good real estate market. When demand exceeds supply – in this case where there are more buyers that homes on the market – a seller's market is created, often driving sales prices even higher. Lawrence Yun, chief economist for the NAR had this to say about the increase in existing-home sales. "The housing market has shown promising resilience in recent months, but home prices are still rising too fast because of ongoing supply constraints," Yun said. "Despite the global economic slowdown, the housing sector continues to recover and will likely help the U.S. economy avoid a recession." With spring and the official start of the "home buying season" just around the corner, housing supply isn't meeting market demand. Inventory of available homes on the market reached 1.82 million in January, increasing 3.4%. The inventory is 2.2% lower than it was in January 2015. Unsold inventory or MOI (months of inventory) is also tracked as part of the NAR report. Currently the MOI is at a 4-month supply and represents a slight uptick from 3.9 months at the end of 2015. What that means is if buyer demand remained the same and no new single-family housing units were added to the market, they all would be sold in four months. "The spring buying season is (nearing) and current supply levels aren't even close to what's needed to accommodate the subsequent growth in housing demand," says Yun. "Home prices ascending near or above double-digit appreciation aren't healthy – especially considering the fact that household income and wages are barely rising." For all types of housing analyzed in January, the median existing-home sales price was $213,000. That's an increase of 8.2% compared to January 2015. 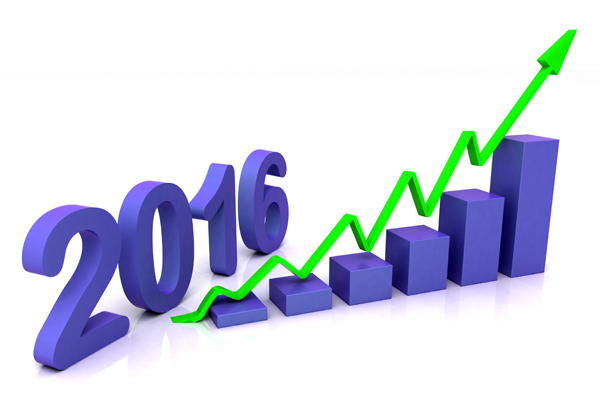 In addition, the price increase in January was the biggest since April 2015. The increase marked the 47th consecutive month with year-over-year price gains. Real estate analysts say this trend is likely to continue, given the tight supply and steady demand – a combination that usually bodes well for sales price increases. In other Lake Minnetonka real estate news, the percentage of first-time home buyers remained stagnant at 32% in January. That percentage was unchanged from December, but is up 4% from 28% a year ago. For the year ending 2015, first-time buyers comprised 30% of all buyers, a slight increase from 29% in 2014 and 2013. Purchases paid in cash made up 26% of all transactions in January, an increase of 2% over the previous month. All-cash sales were 27% of all transactions this time last year. Individual real estate investors – who account for a large number of all-cash sales – bought 17% of the homes in January. The 17% investment share matched the highest level since January 2015. Economists and real estate analysts attribute some of this activity to investors disillusioned with the stock market and seeking real estate as a means of growing capital as prices continue to rise steadily. So, what does all this mean for the coming months? Most economists say more of the same. With interest rates near all-time lows and good mortgage availability, home buyers who find a home to their liking will probably continue to buy. And prices will probably remain at or near their current levels. The big question looming is two-fold. Will existing inventory satisfy demand long enough for new housing starts to kick in? And what about economists who say 2016 will suffer a mild recession? Those answers remain to be seen. In the meantime, the Lake Minnetonka real estate market is enjoying the good start. Only time will tell if it will continue. See more articles pertaining to Lake Minnetonka real estate news in the Lake Minnetonka Real Estate News section of our site below Lake Minnetonka Real Estate Categories in the column to your right. As always, you can find information here on a variety of topics ranging from home buying and home selling tips to home improvements, home inspections, mortgage financing, homeowner's insurance and of course, all the latest Lake Minnetonka real estate news that affects all of these categories.